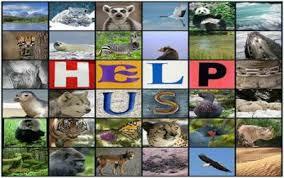 You are here: Home \ Environment \ Animal extinction – just live and let them live! Animal extinction – just live and let them live! Save them to save yourself! Throughout the world, a number of species exist in different countries, oceans, rain forests, deserts, tropical lands, ice lands, etc. Experts estimate that currently there are about 1.4 million species. The world is pretty large, and the existence of a number of species in every corner of the world makes it difficult for the researchers to count as to how many are they in number. All this sounds rather beautiful and brimming with curiosity. But reality tells a different story. Scientists recognize that species continually disappear at a background extinction rate estimated at about one species per million per year, with new species replacing the lost in a sustainable fashion. From what we understand so far, five great extinctions have reshaped Earth in many ways in the past 439 million years, each one wiping out between 50 and 95 per cent of the life of the day, including dominant life forms. Speculations follow, but an analysis published in Nature showed that it takes 10 million years before biological diversity even begins to approach the recreation of what existed before a die off. The causes of extinction have increased exponentially. The rate is rather shocking. The reasons for the extinction ranging from habitat degradation, over exploitation, agriculture mono cultures, human borne invasive species, human induced climate change-increased exponentially (both being major reasons of extinction). The World Conservation Union’s red list tells a haunting tale of unchecked, unaddressed, and accelerating biocide (A biocide is a chemical substance capable of killing living organisms, usually in a selective way). Extinction, as usually thought, is not constrained to rhino’s or tiger’s or panda’s, etc. The overall numbers are shocking. Of the 40,168 species that the 10,000 scientists in the World Conservation Union have assessed, one in four mammals, one in eight birds, one in three amphibians, one in three conifers and other gymnosperms are at risk of extinction. 40 % of the examined species on Earth are in danger, including 51% of reptiles, 52% of insects, and 73% of flowering plants. The fact is that we will never ever come to know about a majority of the life on Earth, only because of the extinction factor. The extinction of species from a particular place affects the biodiversity of that place, leading to disturbance in the life style of other species and further leading to their extinction. The chain continues. A 12-year study conducted in the Chihuahuan desert by James H Brown and Edward Heske of the University of New Mexico proves that when a Kangaroo-Rat guild composed of three closely related species was removed, shrub lands quickly converted to grass lands, which supported fewer annual plants, which in turn supported fewer birds. Climate change has also been a factor contributing to the extinction of species, especially water and rainforest related species. A recent analysis in Nature estimated that, in the past 20 years, at least 70 species of South American frogs had gone extinct as a result of climate change. The main fundamental cause of animal extinction in most recent times has been, without any second thoughts, human demand, either for animal resources directly, or for the natural resources constituting the animal’s habitats. Habitat loss, as a result of human demand, is widely considered to be the most important and prevalent cause of animal extinction. Rainforests, which are being cut to meet human demand, are the main habitats for tropical animals. Animals that conflict with humans are also the victims of eradication efforts. There have been a number of cases in the recent past, of leopards and tigers entering cities and villages from forests due to the depletion of their homes. Species with a narrow geographical range, or species that were never common are vulnerable as well. There have been a number of cases of demands of animal skins, etc. Especially of those who are rare in number and less often seen. Species that live in colonies, or social groups, are often affected when numbers decline. When habitat is fragmented, some species die as a result of lost resources. Poaching and wildlife trade are another common threat to animals. Global Warming is predicted to put at least 20-30% of plant and animal species at the wrist of extinction, and up to 40-70% in worst case scenarios. Environmental pollution, causing Global Warming is another cause. Ranchers may shoot wild animals on spot when they feel the need to defend them selves. This happens quite often with Jaguars, Wolves, and was the lead cause of the Tasmanian tiger’s extinction. Life is the essence of this planet, which must be conserved in each and every way possible. Learning from the past and implementing in the future is the best option. We must try to eliminate the factor causing animal extinction, although it is near to impossible, but we must try our level best. The economic progress of the country which often harms the nature by over exploitation of natural resources must be avoided. Ways of sustainable development should be taken up. A balance between the flora and fauna, humans and animals must be maintained by following the policy of Live and Let Live. All this will certainly lead to a harmonious development of all the species.